Ever wonder what intuition actually is? Well look no further than your fascial matrix which covers all your muscles, nerves, arteries and veins, organs, bones: in fact every structure in your body. It’s the skin of things. Everything needs a skin to contain and support itself. It also acts as the communication system of the body through which the blood and nerve supplies travel and most of the immune system exists within it. It’s also the most sensitive part of your body and carries the general senses. Most of the time we orient to the world around us through our special senses especially our vision and hearing but that is just a small part of the body’s overall sensory system. The vast majority of our senses are located in our fascia. Feelings of pressure, proprioception and interoception are all located here. The brain needs to know how the body is internally and in relationship to movement. The number of sensory neurons in the general senses is many more times that of the special senses, so the stream of sensory information coming from your fascia is the greatest in the body and that makes fascia your no. 1 sensory organ. It’s worth digesting that fact for a minute, as it’s not much talked about. It should be talked about because in simple terms it means our greatest sensitivity is located through the felt sense of the whole body not through eyes and ears and nose. Much of this information is coming to your brain through the unconscious. However as you start to become more body aware i.e. more in touch with the sensations of your body, then the more you notice how your fascia informs you about your internal state and feel of the body, so you get more in touch with yourself, with your feelings and instincts. You will also notice it brings you information about your environment. Fascia is more than just a sensory organ for the body its also highly sensitive to the world around you including other people. If you learn to listen to your fascia you can begin to feel its ability to relate to other fascias and understand that it’s what goes on in the communication between people. Your fascia talks to another persons fascia and shapes around it and brings you information about how someone else’s body is. You physically map around someone else so that you gain a so called instinctive knowledge about them. So if you listen to your fascia more you will become more in touch with the intuitive information about someone else and therefore more empathetic. Here’s an interesting exercise, bring to mind an image of someone you know, and as their face and body start to appear in your mind and you remember interacting with them, be interested in how your body responds. Notice what takes place through the length and breadth of your body as well as the superficial and deep layers of the body. What’s your body response? 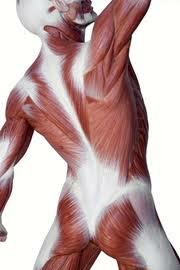 What is your fascia telling you? You can learn to listen better to it through practice. In the modern world we aren’t taught to listen to this part of us and the more we become fixated on our special senses the more our fascial intelligence becomes buried within our unconscious so that we lose the ability to listen to our instincts. If you are a craniosacral practitioner see what happens when you not only listen through your hands but you also listen through your fascia. Be sensitive from the whole of you. Lots of information comes to you about your clients system and the relational field deepens. The empathetic link becomes greater and the level of acknowledgement within the field increases greatly so that the body can more deeply connect with the breath of life. Really interesting, this really resonates with my experience in practice.. Listening via the fascial network as a way of deepening empathic connection. AL-Right! Thank you for this piece. It sounds like Steve just figured out a comfortable more contained definition of intuition guys.